‘Future Big Room FL Studio Template Vol 3’ from Party Design pulls back the curtain and reveals all of the professional techniques for building and mixing a Big Room, House or EDM style track. This .FLP file features MIDI data, WAVs, instrument presets, FX chains and more. Everything has been created with maximum precision and care, inspired by famous artists such a Showtek, Hardwell, and W&W. 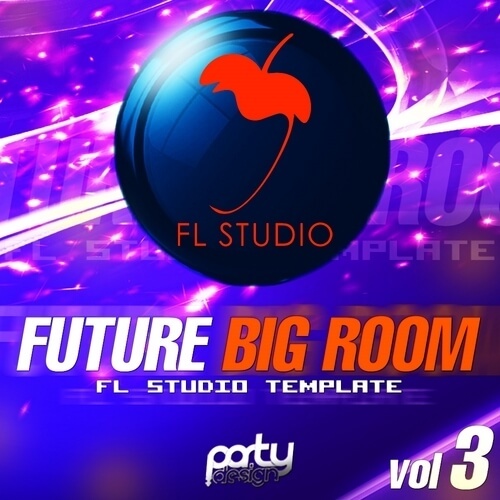 ‘Future Big Room FL Studio Template Vol 3’ delivers a ready-to-use project in FLP format. Party Design has built a very professional and clean scheme (including channel colours), which you can use to produce your Progressive House bomb. FL Studio Instruments used include, FabFilter Pro-Q, Kjaerhus Audio Classic Compressor and Sylenth1 2.21. In addition to FL Studio, you will need Lennar Digital Sylenth1 v2.21 or higher, ArtsAcoustic Reverb, Khaerhus Audio Classic Compressor, Classic Delay and FabFilter Pro-Q. All melodies used in the demonstration files are copyrighted to the respective owners. All of the MIDI data and sequences are strictly for educational purposes only, and not to be exploited in any way.